Jonathan Young brings years of management experience to the Freeholder Board. He is a business representative and executive board member of the Northeast Regional Council of Carpenters, which advocates for fair wages and labor practices throughout the region. Young worked his way through the ranks and was selected among hundreds of applicants by his peers to his current position. Young provided training and career opportunities to people through his work as a trainer at American Community Partnerships (ACP), an organization responsible for creating career opportunities and workforce development in low-income communities through training and private/public partnerships. His work contributed to career paths for hundreds of individuals in the City and County of Camden. Young was born and raised in Philadelphia and attributes his love of community and giving back to his father’s influence. 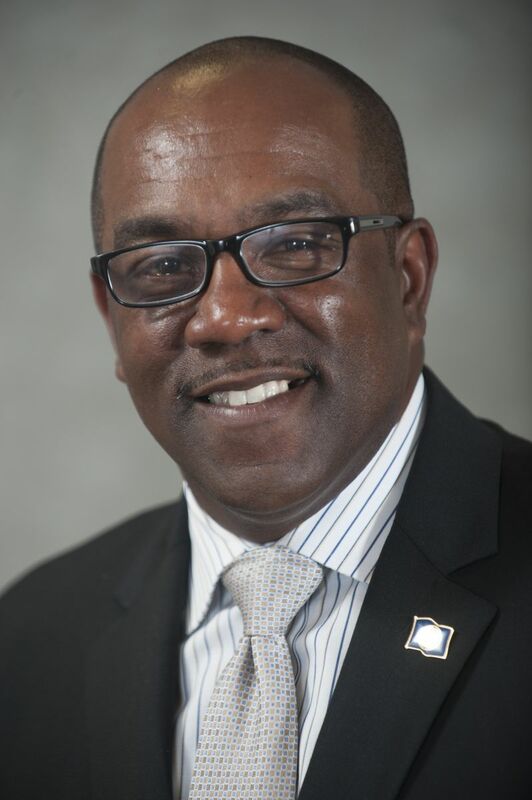 As an active member of the community, he has served as a member of the Workforce Investment Board, a commissioner for the Camden County Municipal Utilities Authority, President of the Baseball Association in Lindenwold, and is a member of the Black Legislative Caucus Labor Advisory Panel, just to name a few. He sees his service to the Freeholder Board as just another way to help his fellow residents and make a difference in the community. Young currently resides in Berlin with his wife and two sons, and has proudly called Camden County his home for over 20 years. Camden County Fire Chiefs Assoc. Camden County Police Chiefs Assoc.